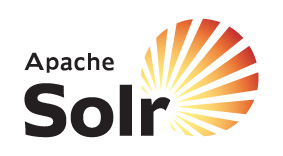 In this article, we are going to discuss “how to set up auto suggest or auto-completion feature by using Apache Solr?“. Before getting into the setup, we will see “Why we require auto-suggest feature?“. In today’s internet world, most of the websites are running with data and they are having a search feature to find out the content. If the user doesn’t know, what keyword to be used to search for the content, the user requires some suggestions from the site. These suggestions will improve users interactivity. Auto-suggestions help the users to find what they are looking for, by typing the least possible number of characters. The below picture shows how the auto-suggestions will be provided in the site. Now, We will see the auto suggestions feature to set up. In the previous articles, we knew the Solr set up. So, here, Straight away I am going to explain the auto-suggest feature configuration. Follow the below given steps. Set up the data for auto-suggestions. The data model is given below. In the table, the TERM column will contain the search key words that the user is used. The VOLUME column contains the number of times the user has used the search key word. Based on this volume, we will come to know, the popular search key words users use. The sample data dump is available here. Basically, in the enterprise applications, we require user generated content(the key words which users are using to search) to drive the auto-suggestions. Here, we are going to capture all the user entered keywords into a database table or we will find out the used keywords for search from the application log files. Once the data set up is done, we need to configure the Solr’s data config file required for the data import handler. Solr’s data configuration is given below. Configure the schema.xml. In the schema.xml, the analyzer portion is very important. The configuration is given below. The above response is having the auto suggestions starting with “lap” . This response , we can use to present the auto suggestions/ auto completion feature in the site. The Solr set up used in this article is available here. The set up which we have done in this article, will provide the auto suggestions starting with the search key word. In the coming article, we will discuss, the configuration to provide the auto suggestions matching with the search key word any where. I tried to implement as your suggestion but the result is not good. I don’t know exactly about this. Can you know the way to solve this ? These settings are my working examples. You can download the setup from the github and tryout. Meanwhile post the entire stacktrace to understand the issue better.